An RA# is needed to identify your order when it comes in. Please click the link above and we will send your RA# to you. 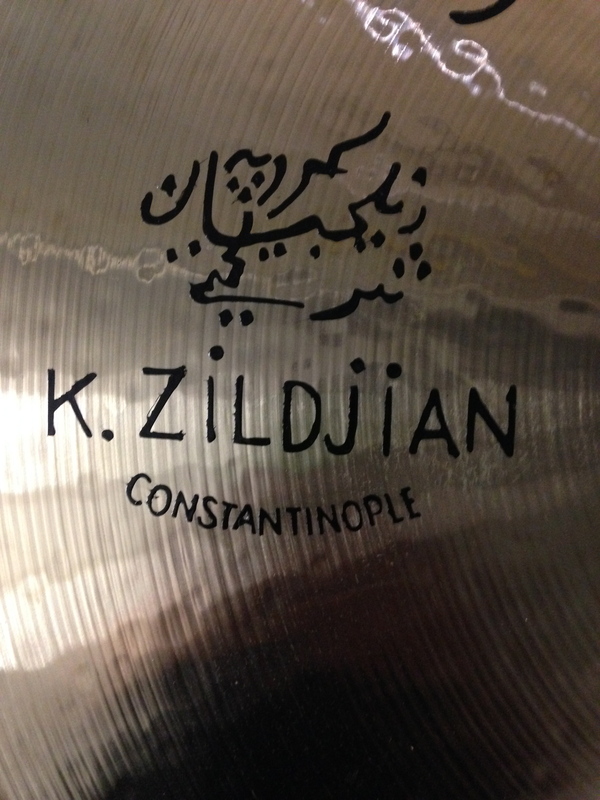 If you're in doubt on how to ship your cymbals you can refer to the guide above. INKING IS A TIME CONSUMING AND TEDIOUS PROCESS. INK PRICES WILL BE BASED ON TEXT SIZES AND MODEL NAMES. CLEANING PRICES ARE THE SAME AND CAN BE VIEWED BELOW. 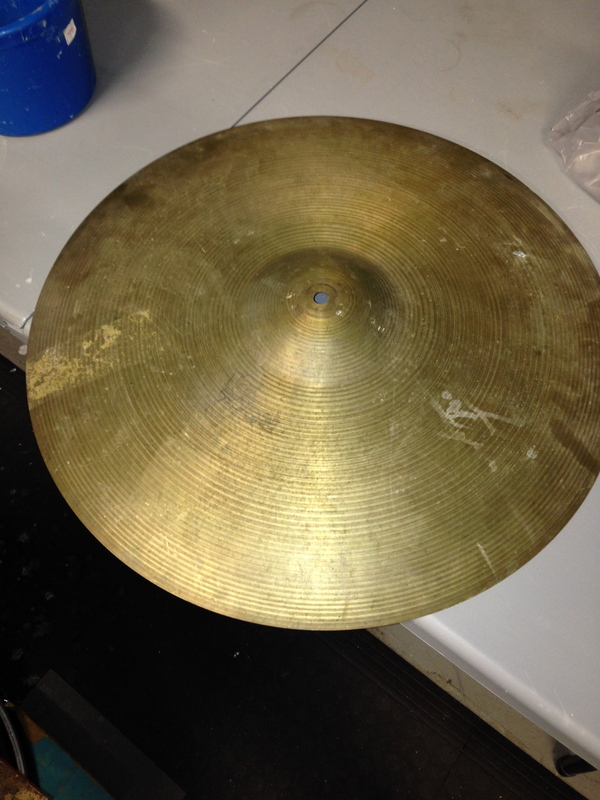 SABIAN IS OFFERING CLEANING AND INKING OF THIER CYMBALS DIRECTLY FROM THEM AND FOR A FLAT RATE OF I BELIEVE $40 PER CYMBAL. CONTACT THEM FOR DETAILS. 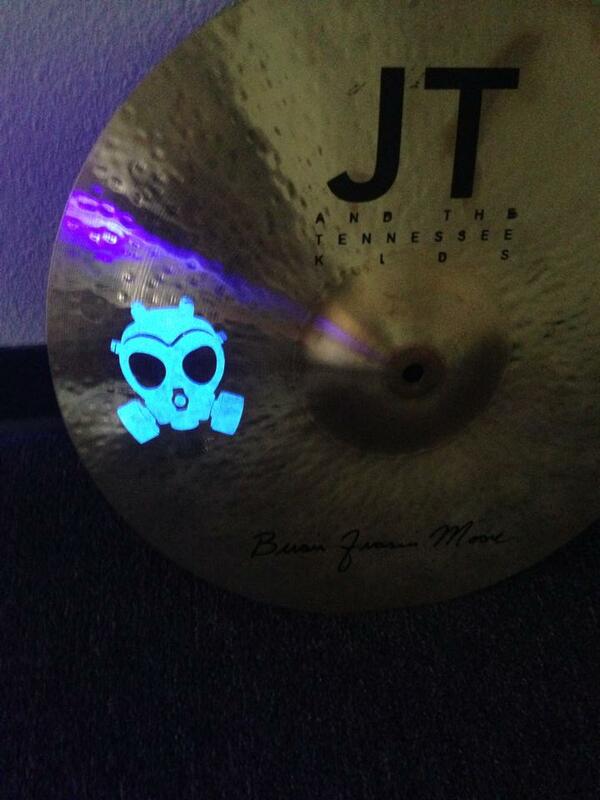 All cymbal services are currently being done at our Nashville location. 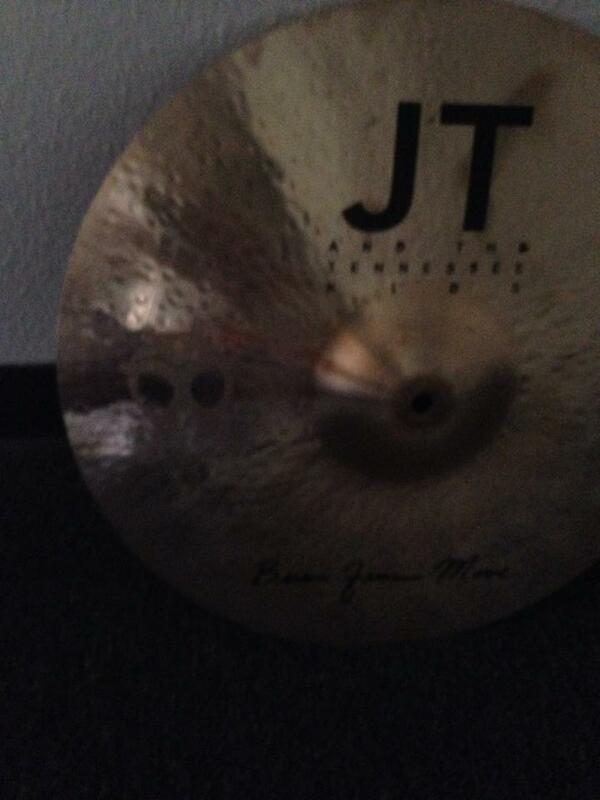 Once we receive your cymbals you will be notified via email. Turn Around Time for just cleaning: 24 to 48 hours. Turn Around Time for Inking: 7-10 days. Once your cymbals are ready we will send you before and after photos along with your invoice. Your invoice can be payed online. Simply click the link on the invoice and enter your debit or credit card details. It's safe, simple and easy. 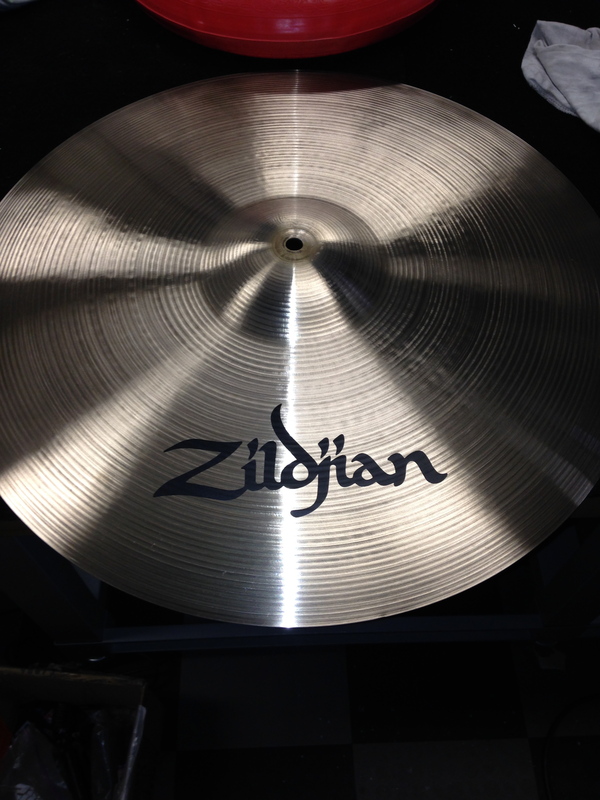 Once your payment is received we will ship your cymbals back to you and provide you with a tracking number. If you have any questions you can call or email us. We are always happy to discuss your needs and answer any questions you may have. 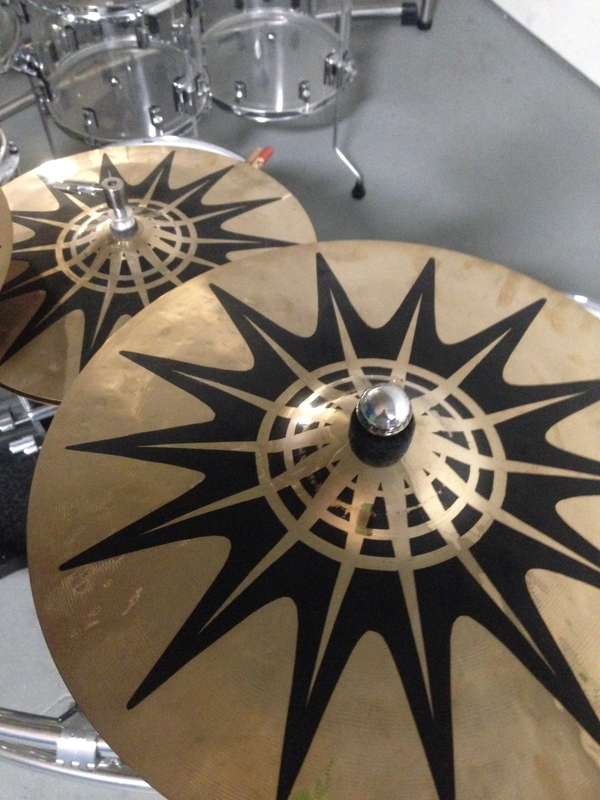 How are you planning on getting your cymbals to us? I will schedule an appointment to bring them by. I will be shipping them to you. I have downloaded the Shipping Instructions. I have would like to request an RA# now. A friend of mine brought me this cymbal below. He bought this at a scrap yard of all places. He paid $1.50 for it. It had obviously been sitting outside next to a stall because as I was cleaning it up my shop smelled of a barn. It's a Zildjian 20" Orchestral Cymbal. We replace your logos using the same special ink the manufacture uses. So you can be sure it will withstand a beating. We have an extensive official Logo file of most new and old company logos. 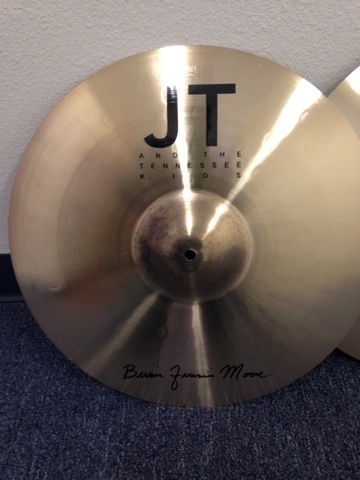 We do custom work for cymbal manufactures. We accept and ship International and out of state orders. 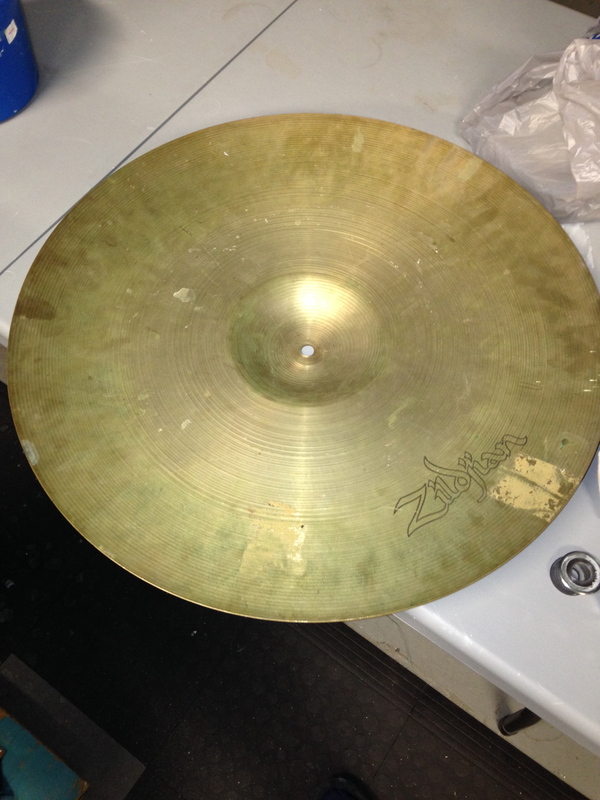 You can call and schedule a time to drop your pies (cymbals) off if you are in the area. If you are not or that is just not convenient you can click on the "GET A RA#" links or buttons. 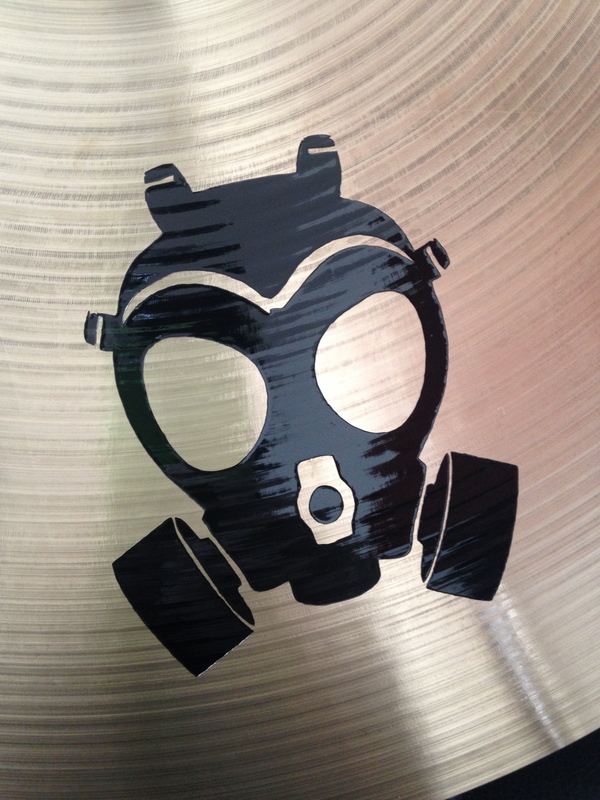 If you planning on shipping your cymbals please download the shipping guide prior sending them. Our turn around time is fast and satisfaction is our #1 Priority! 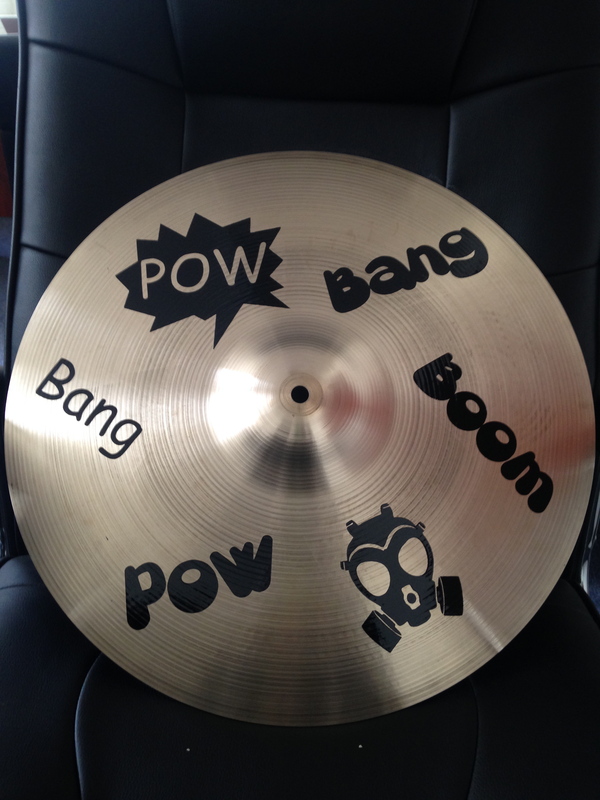 We offer special discounts for schools, Music Stores, Drum Corps, Music Institutes. Call or Email us for a quote. 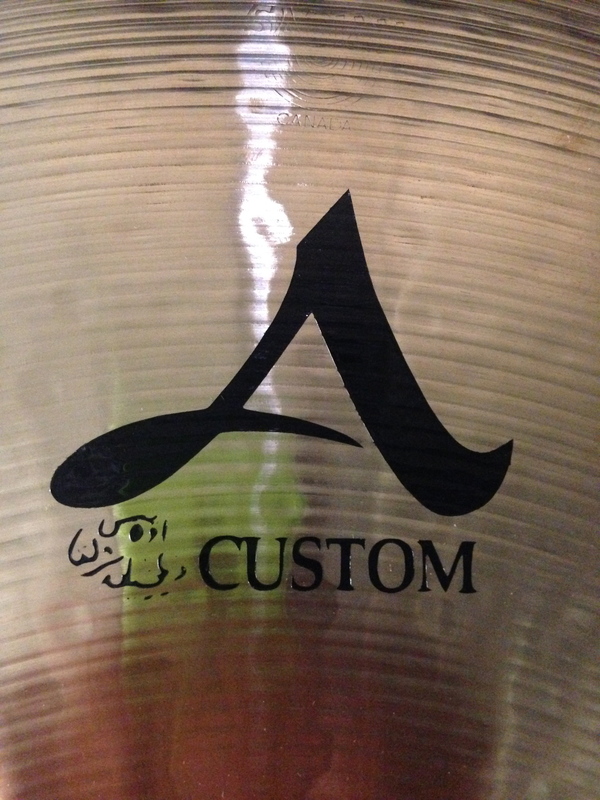 Some people don't like company logos on their cymbals. Let us know if you would like them removed during the cleaning process. See below for logo re-stamping/Replacement. Now We're talking!! LADS is the first company in North America to provide this service. We may not be the last but we were the first!! Our designs, your designs or let us create something for you! We can ink in multiple colors including UV mixtures or UV Ink! 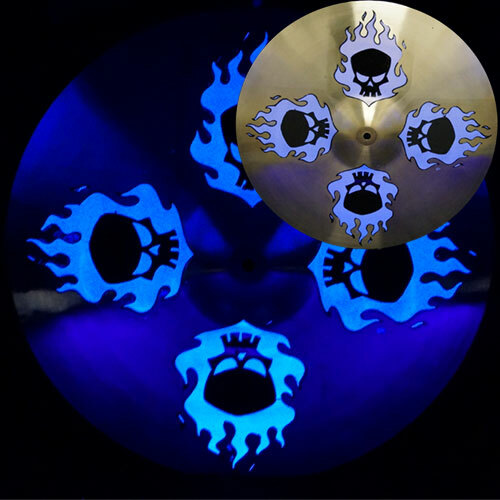 Imagine your cymbal graphic glows under UV lights…. BLAMBO! Looks normal under regular lights and then…..Blambo! (Not sure that's a word but we're using it). Pricing in this area is going to be a bit complex for custom orders and will be based on how intricate the art work is and how many colors. The UV Skull (or similar simple artwork) $25 one or both sides. Feel free to call or email to discuss what you'd like to see done and we can work something out. We offer special discounts for schools, Music Stores, Drum Corps, Music Institutes. Call or emails us for a quote.